The median home value in Mililani, HI is $484,000 This is lower than the county median home value of $629,600. The national median home value is $185,800. The average price of homes sold in , is $. Approximately 74.93% of Mililani homes are owned, compared to 23.06% rented, while 2.01% are vacant. Mililani real estate listings include condos, townhomes, and single family homes for sale. . Commercial properties are also available. 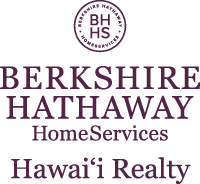 If you see a property Mililani real estate agent to arrange a tour today ! Three-bedroom, two-bathroom one story detached single family home. Easy access to the freeway, short distance to the park, shopping mall, restaurants and business areas. Good size backyard for children to play and to entertain guests and family. An ideal opportunity to move and live in Mililani. Fresh interior/exterior paint, new carpet and vinyl flooring. New toilets & re-glazed bathtubs. See it. Love it. Own it. Looking to live near the shops and restaurants of Mililani Town Center? This conveniently located condo may be just right for you! Relax in the shade of your covered lanai in your private and enclosed patio. This home features fresh paint and flooring throughout! Complete with a remodeled kitchen and master bathroom, this 1,289-sq. ft. townhome offers a first-floor master suite, an additional bedroom and full bath, and a large enclosed loft on the second-floor. The Evergreen Terrace building is ideally situated in lovely Launani Valley, conveniently close to Mililani Tech Park, the H-2 Freeway, and Schofield Barracks/Wheeler Army Airfield. The Evergreen Terrace community features a pool, recreation area, barbecue area, walking/jogging path, and resident manager. Enjoy this 2 bed / 2 bath unit in the lush Ridge at Launani Valley! Upgraded kitchen and flooring, 2 parking (1 covered) and lots of guest parking nearby unit. Washer/Dryer. Window AC. PET-FRIENDLY. Great amenities include: pool, Jacuzzi, tennis and basketball courts, playground, video surveillance, and more! Virtual Tour: https://view.ricohtours.com/20101643-2-Gg6uvNT7w5Ze9TKw First Open House Sunday, April 28th, 2-5pm. Recently renovated kitchen and bath, large 2 level unit with 3 bedrooms and 2.5 baths. Granite counter, wood laminate flooring downstairs. Fenced in patio - wonderful for privacy and security, great to entertain and BBQ. There is a play ground close by and 2 parking. Close to Recreation centers, shopping, restaurants, schools and much more. This Gorgeous Island Classics 4 Bedroom 3 Full Bath Home is located in a quiet cul-de-sac in a great neighborhood! One Full Bedroom and Bath on the first floor, a large family room, living & dining room. On the second floor you have 3 bedrooms, 2 full baths, and a bonus room/ 2nd family room. All rooms have plantation shutters and Split AC's. This home has 24 PV panels (leased paid till 2034), fully fenced yard with 2 large gates to fit additional vehicles. New interior and exterior paint, and a large covered patio and a meticulously landscaped yard. This home in Move in ready! Enjoy Olaloa, an independent senior community for occupants 55 years+, no restriction on ownership. Desirable single level cluster with no one above or below you! This end unit features two assigned parking stalls located right outside your cluster door. Enclosed lanai offers additional living room area and a second entrance door. Unit has 1 full + 1/4 bath (which is a second toilet). Window A/Cs in each room but cool breezes flow through the unit. Move-in condition! Olaloa Administration Office is open M-F from 8:30 a.m. - 5:00 p.m. with an after hour assistant on duty for all other hours and weekends. Planned activities such as bingo, line dancing, exercise classes and much more are offered in the Olaloa Community Center. Completely remodeled three bedroom, 2 bath home with a large yard. This spacious home awaits the new buyers personal touches. Located in Hokuala Hale with one covered and open stalls, private back courtyard and front yard. See the potential of living in Mililani, walking distance to shopping centers, parks and schools. Easy access to freeways and military bases. Pine Knoll Villas: Don't miss this lovely, large town home located near schools, shopping & easy access to freeway. Remodeled kitchen and baths were done in 2015. The interior was newly painted and new carpet was just installed. Tropical lanai provides you with an inviting space to relax and entertain. This is one of the few projects that offer a garage that is perfect not only for your car but for storage as well. It is ready for a new owner who can just move in and start living! Easy to see. Note: Professional Photos will be added by Tuesday. Seller wishes a quick sale! FOR RENT! Beautiful and well maintained 2 story, 5 bed/2.5 bath single family home in Mililani Mauka. Spacious kitchen with peninsula counter, refrigerator, range/oven, dishwasher and disposal. Open floorplan with easy access to the family & dining room. Ceiling fans and planation shutters throughout. Bedroom and half bath on the first floor. Master bedroom has a large walk in closet, bathroom with double sinks, glass block shower, separate toilet area and deep bathing tub. Loft on second floor. Recreation center membership included: access to pool, toddler swim, picnic areas w/grills, playground, indoor basketball/volleyball courts Please call Watanabe International Inc. at #486-5534 to schedule a showing. Sorry, no pets allowed. Processing fee of $25 per applicant required with all rental application submissions. Thank you. Destiny D model with new interior paint, new carpet, new wainscoting, vinyl flooring, split AC, and freshened up to be move-in ready. Fully fenced in yard, gutters, and custom window treatments are added features. Extra wide Sidewalks lead to the back lanai for private barbecue. Master bedroom has its own ensuite with dual sinks and walk-in closet. So, come on Buy and call it home! Brokers open Wed 4/24 from 10:00-12:00. Own your piece of paradise! Cool breezes flow through this 3 bedroom, 2 bath Mahana floor plan which opens up nicely as you reach the top of the stairs. One car garage with a tandem stall. Original owners upgraded with oak-like laminate flooring, designer ceiling fans, quality AC units, higher grade carpet and window blinds/plantation shutter. New stainless steel dishwasher compliments the island kitchen with Corian counters. Small park area and guest stalls steps from your front door. No public open house, showings by confirmed appointment only but flexible with listing agent present. Come see this well-maintained second floor townhouse unit in the Gated Community of Havens at I'i Vista!!! This 2 bedroom, 2 bath unit includes 2 assigned parking, range/oven, microwave, refrigerator, dishwasher, window a/c, washer/dryer. Conveniently located near Long's Drugs, Starbucks, McDonald's, Walmart, theatres, 24-hour Fitness, numerous eateries, freeway access and access to 7 Mililani Recreation Centers! NO pets. NO smoking. FIRM. 6 months initial rental agreement. Water & sewer is included, tenant is responsible for all other utilities. Copies of valid picture ID, paystubs and $20.00 cash per adult application fee required with the completed rental application. Lovely 2 bedroom, 2 full baths with 2 assigned parking stalls located in the Evergreen Terrace. Close to the on and off ramps of the freeway, Schofield and Wheeler Bases. Surrounded amongst lush greenery and tranquility. A must see!!! Great home at quiet end of cul-de-sac in beautiful Mililani Mauka! Newly painted exterior, travertine and wood floors throughout, plantation shutters, stainless steel appliances, fully fenced yard, security system, split AC and 30 solar photovoltaic panels to offset electricity bill. Large master bedroom with big walk-in closet. Access to Mililani's 7 recreation centers including pools, spas, tennis/basketball courts, party halls, etc. Close to military bases, shopping, restaurants, freeway entrance and schools. *Home comes partly furnished =(*negotiable-only wall mounted TV) Tenant to obtain renter's insurance. Please no pets or smokers. Must see to appreciate everything this home and neighborhood has to offer! Welcome home to Mililani Mauka! Please text/call Grant at 808-391-8092 for entry info and showing scheduling. Currently tenant occupied. 48 hours notice needed for showings until vacant. Available for occupancy May 1st. High floor unit at Waikalani Woodlands. Off Waikalani Drive, this tranquil setting offers the peace of old Central Oahu, yet minutes away from the modern conveniences of Mililani town. Close to Schofield Barracks and Wheeler Air Field, this unit is perfect for a first time home buyer or investor. Well maintained unit with nice ventilation. Amenities include a swimming pool, BBQ area, grassy park, jungle gym and recreation area. Two parking stalls as well!